Eric Reeves has spent the past eighteen years working full-time as a Sudan researcher and analyst, publishing extensively both in the US and internationally. His work appears in academic journals as well as prominent news outlets. He has testified several times before the Congress, and has served as a consultant to a number of human rights and humanitarian organizations operating in Sudan. He is author of A Long Day’s Dying: Critical Moments in the Darfur Genocide (2007) and more recently of Compromising with Evil: An archival history of greater Sudan, 2007 – 2012. His focus in this work has been on humanitarian access in all parts of Sudan, as well as the aerial targeting of civilians and humanitarians by the National Islamic Front/National Congress Party regime; Eric has also provided the fullest synthesis of data and reports on mortality related to violence Darfur. He has given scores of lectures at academic institutions, and hundreds of broadcast interviews on Sudan. He also works as an expert witness in asylum cases in the U.S. and Europe. He is a board member of or advisor to numerous NGOs. 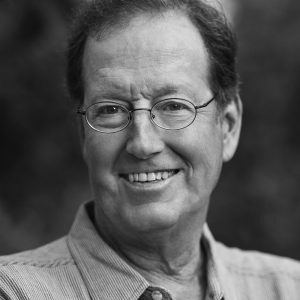 His current work focuses on maintaining international awareness of continuing genocide in Darfur, as well as the Nuba Mountains of South Kordofan and Blue Nile, where humanitarian embargoes continue to be imposed by Khartoum (his website is continually updated www.sudanreeves.org). In the absence of journalists or human rights reporters on the ground in these areas, regional and international contacts that Eric has developed over the past eighteen years are indispensable for such work. Ultimately, he plans to write a book that focuses on international responses to vast but under-reported humanitarian crises, using Sudan as an example: Sudan—Suffering a Long Way Off. He is also a Professor Emeritus at Smith College.